Paragliders from Da Nang, HCM City and Ha Noi will compete at 8am on this weekend for the Da Nang Paragliding Club’s Individual Fun Play Award, according to Duong Hien Hoang, the club’s chairman. Twenty competitors will take off from Ban Co Mount, 573m above sea level, and land on Man Thai Beach after flying for 5km. Viet Nam’s top player Nguyen Tien Minh will meet No 3 seed Chou Tien Chen of Chinese Taipei in the Asian Badminton Championships starting today in China. His teammate Vu Thi Trang will face No 1 seed Li Xuerui of the hosts in the women’s singles second round. Trang and Nguyen Thi Sen will meet Ma Jin and Tang Yuanting of China in the first round of the women’s doubles. In the men’s doubles, Duong Bao Duc and Nguyen Hoang Nam will play against Kim Ki-jung and Kim Sa-rang of South Korea in the second round. Dao Manh Thang and Pham Nhu Thao will meet Paul Jefferson Vivas and Jessie Francisco of the Philippines in the first round of the mixed doubles. 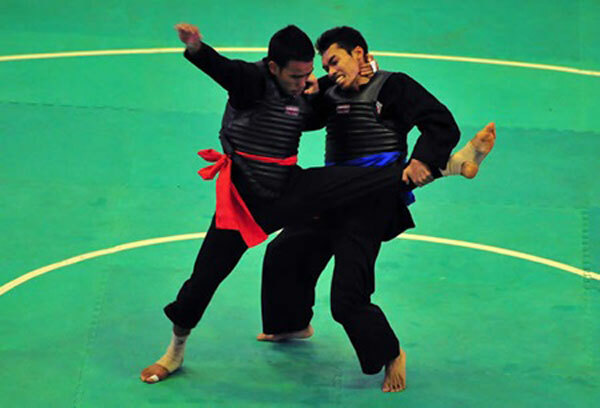 Ha Noi triumphed at the National Pencak Silat Tournament, which ended in the northern province of Hai Duong on Apr 18. The six-day event was a warm-up for the 28th Southeast Asian Games, to be held in Singapore in June, where Vietnamese martial arts fighters aim to win at least three gold medals in the pencak silat event. Nguyen Quoc Dinh easily defeated more than 80 cyclists in the 27th HCM City Television Cycling Cup to win the 10th stage yesterday. Dinh’s teammate, Le Van Dong and Nguyen Van Duong from Thanh Son Hoa Nong were the runners-up. BTV Binh Duong’s Nguyen Minh Viet defended his yellow jersey with the best overall time of 21:41:24. He was followed by Quang Van Cuong of Ha Noi and Nguyen Hoang Giang of An Giang’s Gao Hat Ngoc Troi. Today, cyclists continue on the 181km stage from Quang Ngai to Quy Nhon City. Pham Minh Tuan of Da Nang beat Truong Giang Thanh Alexandre of HCM City in the over-18’s singles of the quarter-finals of the National Men’s Tennis Championships in Dak Nong Province yesterday. Tuan won 7-5, 6-3. In the other quarter-final matches, Vu A Term of Binh Duong beat Vo Van Toan of Da Nang 6-2, 3-6, 6-2; HCM City’s Pham Huu Vinh crushed his teammate Le Quoc Khanh 5-2 (retired) while Le Cong Tien of the Military lost 6-4, 6-2 to his teammate Tran Hoang Anh Khoa. In the U18’s doubles, Tung Lam and Nhat Minh of Da Nang beat Duc Trong and Cao Son of Ninh Binh 6-0, 6-3 in the semi-final match. David Nguyen and Van Phuong of Binh Duong defeated Hai Nam and Minh Hau of Da Nang in the other semi-final.